We’re midway through August, and the beginning of school doesn’t seem so far away for those of us with kids home for the summer. Lots of people are “out of town” and web traffic seems a little slower. The book studio has been busy with lots of projects going out for proofs, design samples flying back and forth, and new books being born every week. And that’s exciting! This week we have more on the publishing industry’s twists and turns and prospects in the near term, tackling the back cover of your book, the advantages of ebooks, looking out for writing “maladies” and looking to your future as a self-publisher. Then there’s the Social Media Map of the World. Enjoy! Joel — I don’t know if I’ve mentioned before how grateful I am to you for doing “This Week in the Blogs” for us. 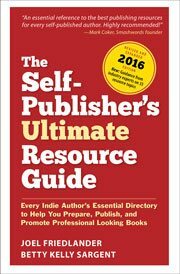 As you know, I’m more or less a newbie in this wonderful world of publishing and book design blogs, and I wouldn’t even know where to begin to look for these excellent resources without your help. I love your blog, and I keep learning new and useful stuff all the time from it! But you get HUGE extra points for taking the time and trouble to sort through other blogs every week for your readers. Thanks, and thanks again. Betsy, thanks so much for your kind words. I think you can tell how much I enjoy it, and as I cruise the internet I like to snag things that I think will be of interest to readers. In fact, I’m having some withdrawal since I’m only posting twice a week this month, but come September I’ve got lots of things to share, so keep reading!